Costa Rica is the only country in the world where it is actually illegal to produce any type of coffee other than 100% Arabica—the highest quality of coffee beans. 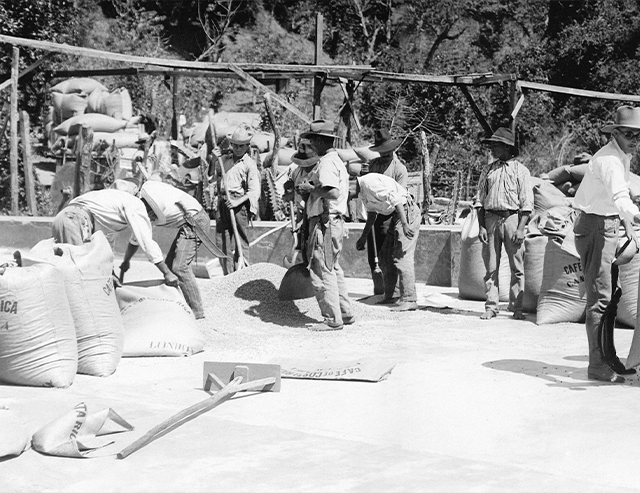 A law was passed in 1989 prohibiting the planting of low-quality beans, encouraging Costa Rican farmers to pursue true excellence. Arabica beans are a specific variety of beans that is more difficult to grow than other, hardier stocks. The result when the beans mature though is rich, full-bodied flavors leading to premium blends. 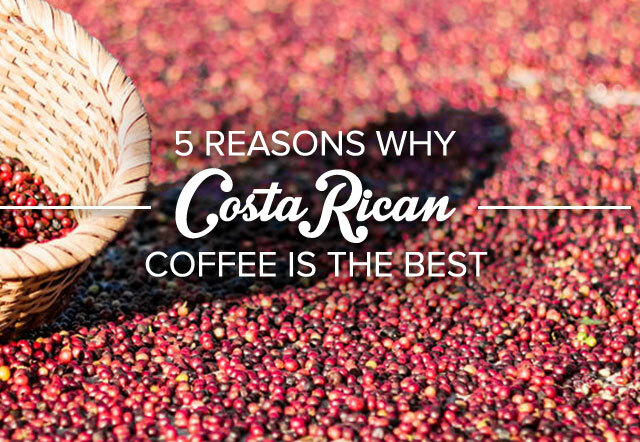 In Costa Rica we take growing coffee seriously and so we only want to offer you the best. That’s why we only grow Arabica. Arabica coffee beans come from delicate plants that need specific climate conditions to thrive, including high altitude and mild temperatures. In Costa Rica, the mountainous regions and warm temperatures provide the perfect environment for growing the highest quality Arabica beans. Costa Rica has only two seasons: dry and a rainy season, both of which provide ideal coffee growing climates. Throughout the year the temperature only varies about ten degrees between 17 and 28 °C (63 to 80 °F). More than 80 percent of the most popular coffee growing areas are located between 800-1600 meters (2,624 - 3,280 feet) and the average rainfall is between 2000-3000 millimeters (78 – 118 inches). Heavy rainfall and high altitudes create ideal farmland and a stunning backdrop for our country. Over 70 percent of our coffee is grown in the mountainous regions, which have highly varied altitudes. All of these factors affect the aroma, body, flavor, and acidity of the coffee we produce. 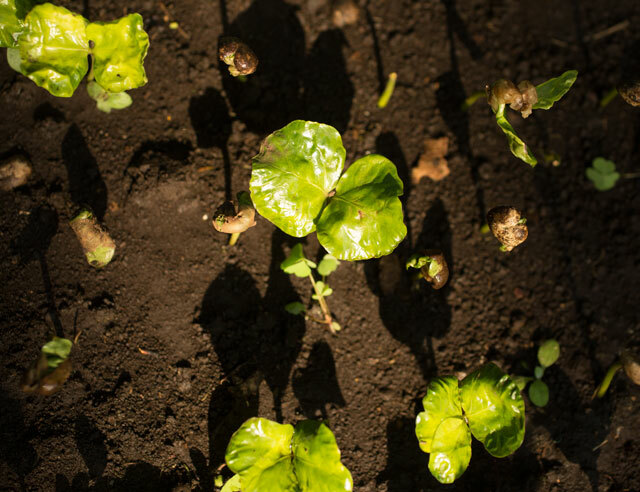 The soil is enriched by volcanic ash, which oxygenates the beans, giving them richer flavors. The variety and beauty of our natural climate make Costa Rica the perfect place to live, visit and grow coffee. Hand-picked. We know how to pick them! 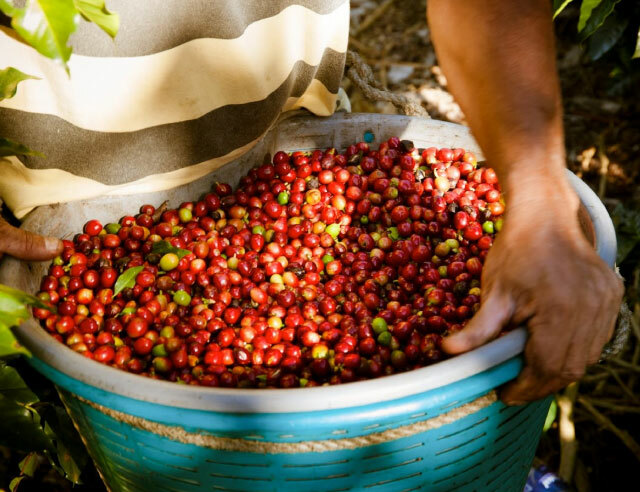 When we say Costa Rican beans are picked by hand here’s what we mean: our heritage as gourmet coffee makers has taught us that the secret to the best brews is not to rush the process. So when we pick our coffee beans, only the ripest beans are plucked and processed. Instead of picking every bean from a plant at once, we treat coffee beans as what they are: unique, individual and full of potential. Our farmers have been in this business for generations and take great pride in their growing processes. 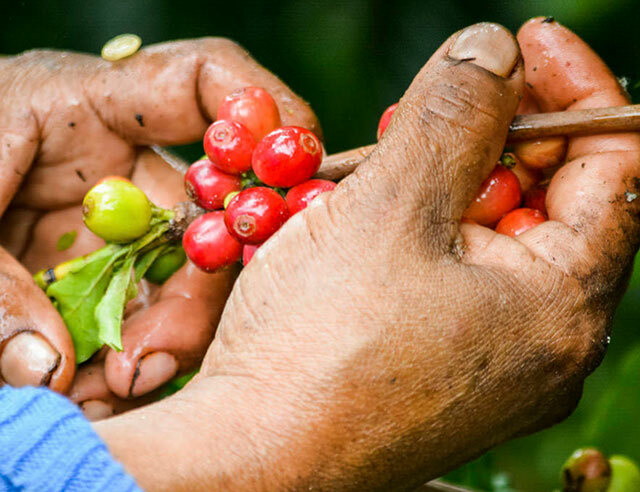 By allowing beans to fully mature, they ensure that only the best flavors are associated with Costa Rica. 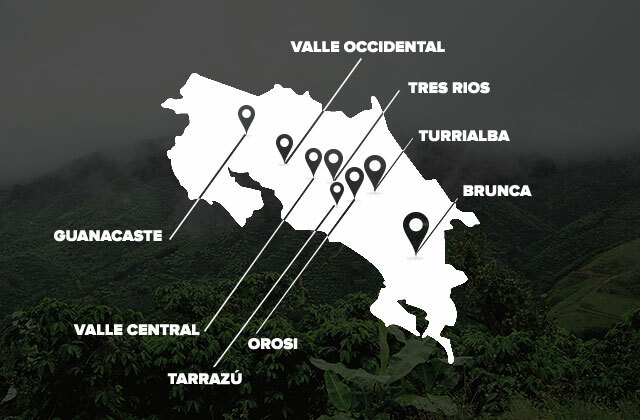 Costa Rica has not one, not two, but eight distinct regions that produce their own unique flavor of coffee. The country’s diverse climate leads to a huge variety of microclimates and humidity, all perfect for growing different varieties of beans. One of the most famous regions is Tarrazú, renowned for its acidic taste and heavy havy aromas. Brunca produces moderate flavors, while Valle Occidental is recognized for the subtle hint of peaches and apricots in its beans. 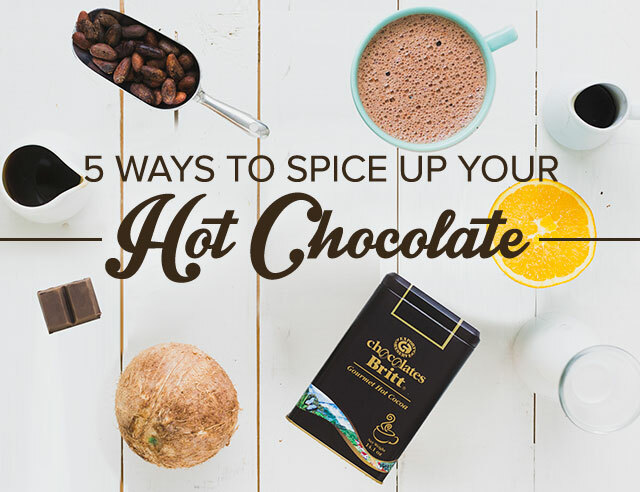 The diversity of climates and changes in humidity give each region distinct flavors, so you can enjoy Costa Rican coffee eight different ways. Our diverse tropical climate allows us to produce a diverse array of coffee flavors to suit all tastes. The eight growing regions each have has special characteristics and are famous for different aspects of their flavor, so you can enjoy Costa Rican coffee eight different ways. Reason #5: Good beans are good for the environment"
When you visit our country or enjoy our blends at home, you can rest assured that you are not contributing to waste or harmful farming practices. Costa Rica has laws protecting 21% of its land, just one of the ways our country is committed to preserving the planet. Costa Rica’s culture encourages natives to love their land and protect the beautiful habitat we have been given. Our commitment to sustainable and ethical growing practices just makes sense. The way we grow our beans is better for the planet, for our farmers, and produces the best tasting coffee in the world.